Twenty-five years ago, the man they knew as a bushy-bearded ringleader of a loony left council, was a supporter of the International Marxist Group, whose key objectives included the nationalisation of the British banking system as a first step towards full-blown Communism. Ah ! those days of youthful folly so embarrassing to senior politicians and, usually, best left undisturbed. After all, surely a politician, no less than anyone else, is entitled to grow out of their immature ravings? True enough, but at the peak of his madcap Leftie days, Darling was hardly a youth – he was a qualified solicitor approaching his mid-30s and was just being admitted to the Scottish bar. Darling was a classic family rebel, a product of Scotland’s oldest boarding school, Loretto (other old boys include the broadcaster Andrew Marr and former Tory Chancellor Norman Lamont), whose family were staunch Conservatives. His Tory-voting father was a civil engineer and his great-uncle Sir William Darling was the MP for Edinburgh South for 12 years after World War II. 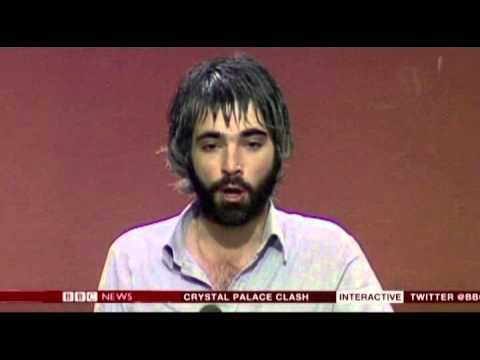 In 1982, Alistair, aged 29, was elected as a Labour councillor to Lothian Regional Council in Edinburgh, and escalated a war against capitalism that had begun with his feverish distribution of far-Left literature while reading law at Aberdeen University. It was when the politically ambitious Darling became a councillor that Bob Thompson, another former chairman of the Scottish Labour Party, met him. “He was a Trotskyist and played the part with his backside sticking out of his jeans and sandals on bare feet, long hair and a beard,” says Thompson, a lifelong trades unionist. Thus dressed for battle, Darling and his Labour colleagues dug in to take on the biggest capitalist of all – Margaret Thatcher. These were the Loony Leftism years of ‘Red Ken’ Livingstone in London and Derek Hatton, of Militant Tendency fame, in Liverpool. According to party figures of the time, left-wing councils across the country ‘liaised’ on a range of issues. 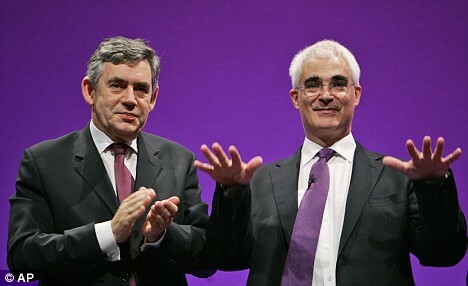 In Edinburgh, Darling was a ringleader of the revolt against the Thatcher government’s spending cuts. Then, as now, he was no firebrand. He had little charisma and was no orator. But he was a clever fixer, a plotter, a manipulator rather than a motivator. He was in the thick of it and certainly caught the eye of Labour’s then leader Neil Kinnock, who visited the council when it was threatening to defy the Tory government’s spending cuts by refusing to set a local rate. Kinnock’s visit helped ‘calm down’ the loonies. 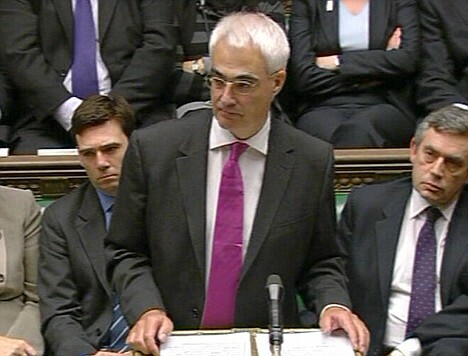 The irony is that Darling’s public school upbringing was anything but an advantage among his Labour colleagues. According to George Galloway, another contemporary who became a Labour MP Glasgow before founding the Left-wing party Respect, it was Darling who came up with the idea of opposing the government’s spending cuts by refusing to set a rate or even agree a budget, thus plunging the local authority into illegality. But Darling’s ideology was far deeper than merely battling with Margaret Thatcher. It covered a range of other areas of life. A contemporary recalls he also had an ideological hatred of cars that cost Edinburgh millions of pounds’ (an ideology not apparent as he steps into his ministerial limousine). As convener of his council’s transport committee, Darling is said to have blocked plans to create car-parking spaces in Edinburgh, as he wanted people to leave their vehicles at home. In the event, all that happened was more traffic congestion. Dogmatic in his beliefs, his most controversial act as Edinburgh City Council Transport Convener was to scrap a four-lane western approach road to the Scottish capital after contracts had been signed by the previous Tory administration. A decision that cost ratepayers £2 million in cancellation fees. Darling was aware that among many of his colleagues there was irritation and even contempt for his “posh” public school background. Some thought he was a “public schoolboy just playing at it”. But others believe it was his privileged background that drove him to be so politically extreme. He was so eager to be seen as a hard socialist that the joke was that he would carry a blank banner around with him so he could fill in the cause as required. Naturally, he was in favour of scrapping missiles. This deep sensitivity about his image did not diminish over the years during his political rise in which he was one of only three ministers to serve for the entire period since New Labour swept to power in 1997 – the others being Gordon Brown and Jack Straw. he never entered the year’s he boarded at Loretto in his Who’s Who entry. So was Darling a genuine member of the Loony Left or was he merely playing a role in order to gain Left- wing support and political lift-off? 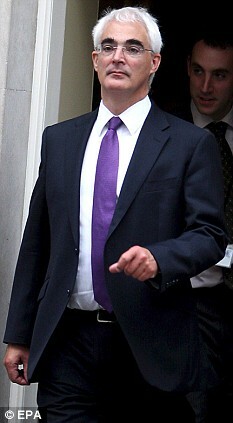 So, what happened to Alistair the sandal-wearing, car-hating Loony Leftie, just when did he undergo his political metamorphosis emerging as the bland, smooth, fastidiously attired government minister, a man who could easily be mistaken for a bank manager? Contemporaries are agreed it was in 1985 when he was 32 and, while still serving on the council, was making his move for a parliamentary seat. 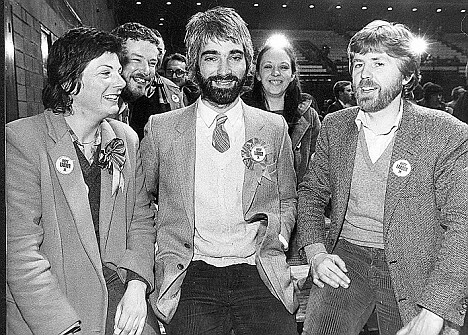 That year, a quietly dressed Darling, beard neatly trimmed, so impressed the selection committee at Edinburgh Central, that he was chosen from 48 applicants. Two years later, he defeated the sitting Tory MP. The Queen elevated Darling to the House of Lords in 2014 awarding him a life peerage in recognition for his long service and good conduct in the service of her Unionist governments of every political persuasion. The man who sold out his nation then gained another reward for his incompetance. A job with Morgan Stanley attracting a salary of around £230,000 plus bonuses. More hypocrisy pointed out Labour of course,surprised? me neither. More hypocrisy pointed out anybody surprised? me neither,and not even by whom,of course I have always believed that there is only one party involved when Labour Tory and Lib-Dems are together its the Westminster party.Why wont the sort out the house of Lords? because they wish it all to stay the same with them in power,occasionally using an alias from their choice of three. Both are devoid of any principles!..